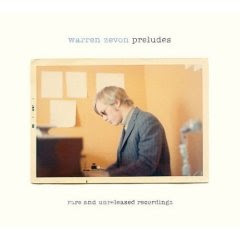 This song sat in a trunk in a storage space from about 1976 until Zevon’s son discovered it (and a hundred other recordings), and it was eventually released on last year’s Preludes – Rare and Unreleased Recordings compilation. I find it encouraging that this song sat in a trunk for thirty years. Either it got forgotten or Zevon didn’t rate it. *** Either way, I love it, and this reminds me that with songs and short stories, taste is everything. An unconvinced creator can pull of song that others respond to. That story at the bottom of your desk drawer could strike a chord with someone if it ever made it into print (though this would require finding an editor with whom it strikes a chord…). Back in June I gathered up all my finished short stories, including four that were at least three years old, edited them a little and sent them out to New Zealand and Australian literary journals before I switched hemispheres. I think I liked these older stories well enough when I wrote them originally, then entered them in competitions in which they didn’t place, and I moved on. It took The Big Move to make me send them out again. So far, I’ve had two appear in print and one more is forthcoming. The fourth I never heard back from the Wellington-based journal that has a history of not responding to my submissions (they’ll never hear from me again). So, ignoring this last one, that’s a 100% success rate for stories I had effectively locked in a trunk and thrown into storage. This post is in the interest of balancing out my last one where I complained about having written nothing in 200,000 words. There is a part of me (temporarily in ascendance) which believes all the stories I’ve worked on so far this year (guesstimate: eight) will have their day in the sun. But for now I’m back to Clydesdales. The problem with novels is an unconvinced writer can almost never produce a novel that strikes a chord with a half-decent reader. A novel is like forcing a person to eat the same dish every day for a week. If there’s something slightly off, they might notice the first time, but it’s no biggie, they’re hungry and they come back the next day… but with every plate, the ‘off’ elements become more pronounced until that’s all they can taste. That’s why I could only write bad things about The Gum Thief. The epistolary approach might have worked for those characters in a short piece, but being forced-fed their “letters” for 260 pages gave me indigestion. Sorry, I’ll put that extended metaphor to bed now. I don’t have much confidence in the two novels I have “in storage” ever making it into print and striking chords. Not in their current states. And Novel B? I’m just diving back into it now, so thinking all these straight-backed thoughts about believing in your narrative is probably bad for the nerves, but it’s better to think about these things now than afterwards. I’ll be taking a pen and paper with me to Norway over the long weekend to a) keep Novel B ticking over and b) avoid some goose eggs on the word count front.